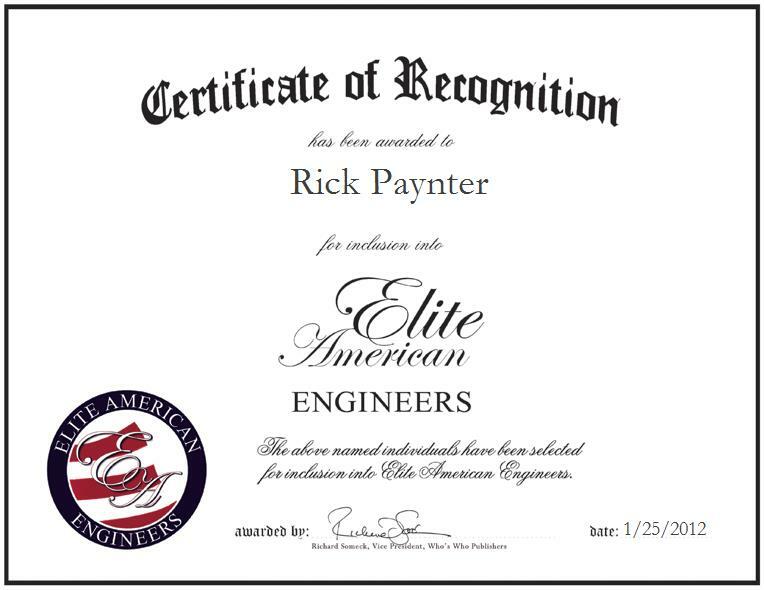 Rick Paynter is a Spacecraft Hardware Quality Assurance Engineer for the Jet Propulsion Laboratory. An expert on aerospace and spacecraft hardware quality assurance, Mr. Paynter supports the initiatives of this spacecraft technology research and development institution. He recently completed his last assignment of managing the implementation of the HQA plan on the next NASA mission, which will land on Mars, named the Mars Science Laboratory (MSL). MSL has an SUV-sized, nuclear-powered Rover named Curiosity. It will land on Mars on August 5th, 2012. Mr. Paynter became involved in his profession after being hired as a trainee in 1978 and continuing to advance through a natural progression of opportunities. In experiencing continued professional growth and contributing to valuable advancements that have been made in his field, Mr. Paynter feels that he has been able to thrive professionally due to the abundance of knowledge that he has developed during his work experiences. He also pinpoints the fact that he has worked diligently in each of his endeavors as a factor of his success. Mr. Paynter has received many project honor awards from NASA/JPL, and he continues to make every effort to exceed expectations and looks forward to supporting interesting scientific robotic spacecraft missions in the future.